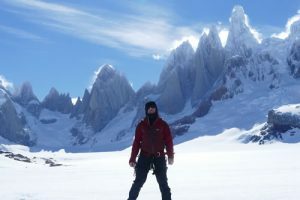 Patagonia 3 week ice cap expedition expertly led by Richard Hartley of Spanish Highs Mountaineering. The expedition was successful in crossing the ice cap. 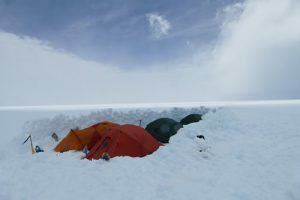 The secondary aim of climbing one of the many rarely climbed peaks on the ice cap was cancelled due to lots of fresh deep wet snow causing avalanches. This was or second visit to Patagonia in the last two years it is a stunning location well worth the long journey. It is challenging and enough time should be allowed to deal with the weather which dictates what can and cannot be attempted. We were luck on this expedition that we experienced a great weather window.